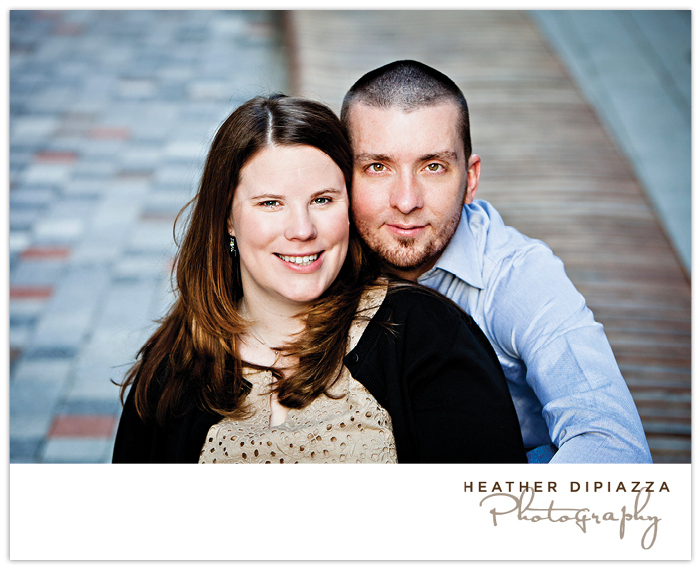 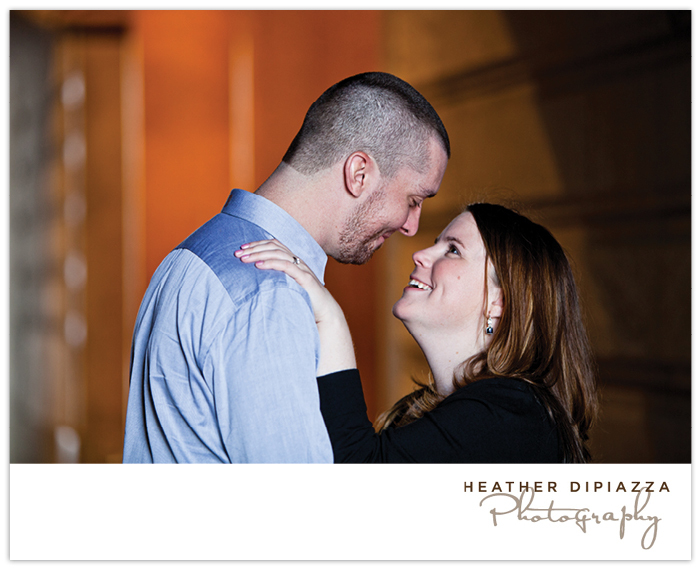 Heather DiPiazza Photography: Meghan+David :: Engaged! 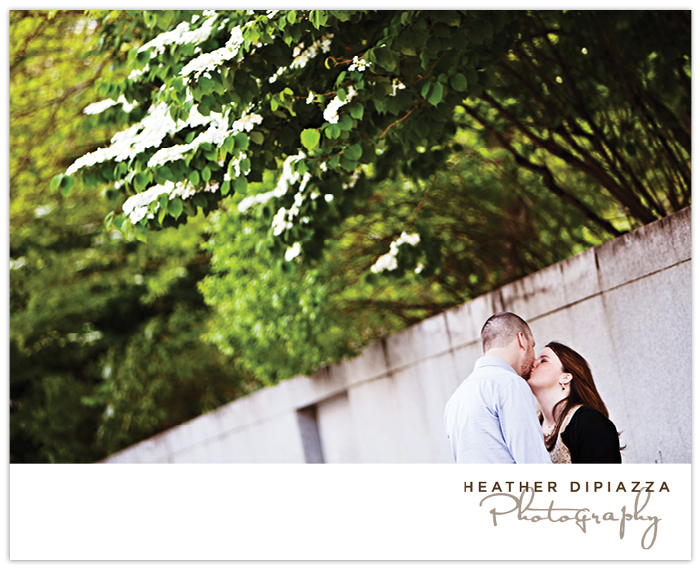 Meghan, Dave and I roamed the streets around City Hall on a lovely spring afternoon, soaking in the sun and the city. 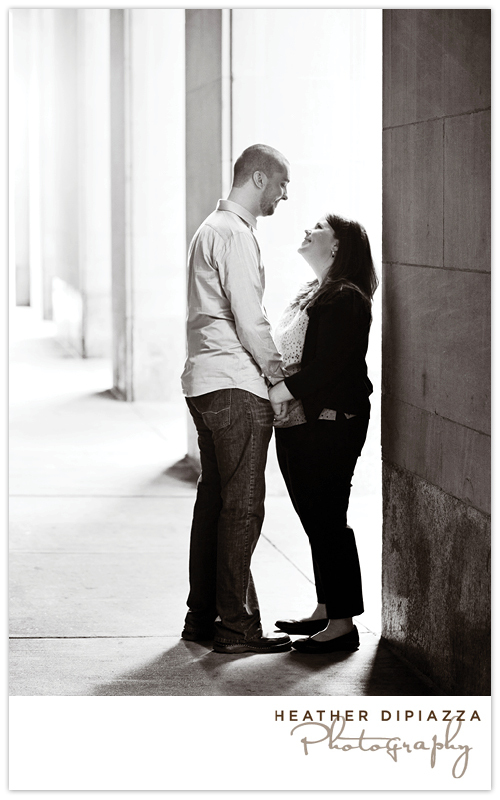 I love finding surprising little spaces during portrait sessions. 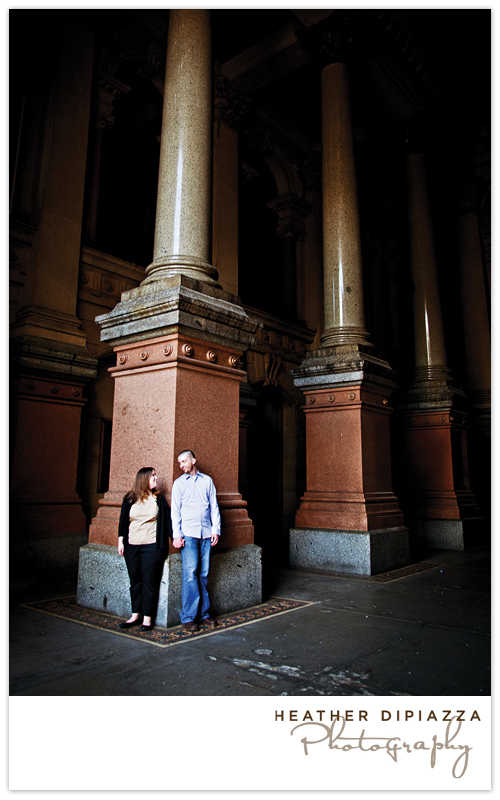 A simple archway with ethereal streaming light, a hidden nook inside City Hall's passageways, and even the beautiful flowering trees around Love Park that are overlooked by visitors photographing the famous landmark. 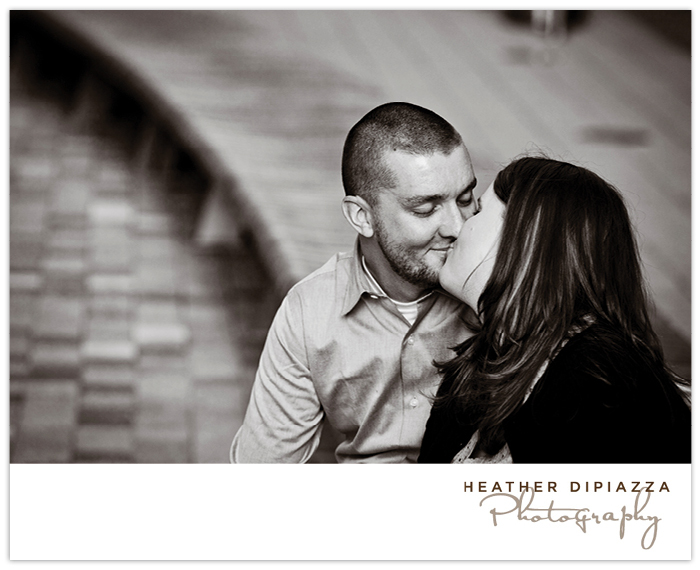 I didn't realize it until after the Engagement Portraits, but Dave works just across from City Hall. 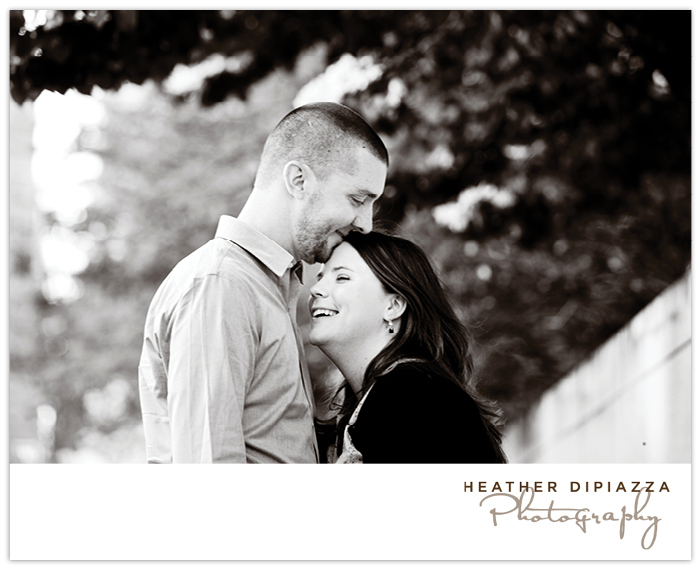 How cool that all of these wonderful moments and spaces we explored will remind him of Meghan every time he walks outside!